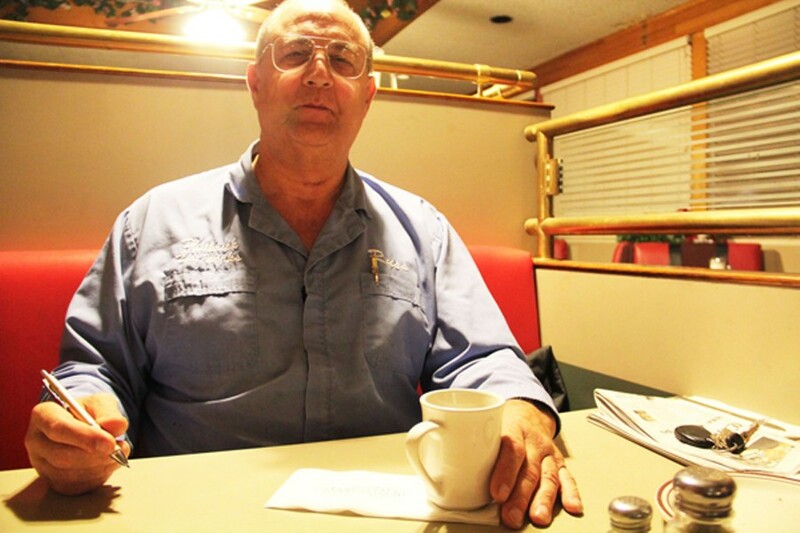 "The first couple, I charged $25 per week," Nichols said. "But they weren't takin' all the poo poo away and the girl went crazy." The second couple, she said, paid for one month and stayed for three and a half. Nichols decided not to rent to anyone anymore. Nichols doesn't mention anything about the fact that renting out abandoned boats to tenants, let alone living on one in the middle of the water, is illegal. She just said it's better than where she lived before, over by the old railroad tracks near the shore, on the rocks in between the wood yard and city district buildings, or at Fifth Avenue Estuary Park. "Living on a boat is hard sometimes," Nichols said. "But it's better than living in a tent." 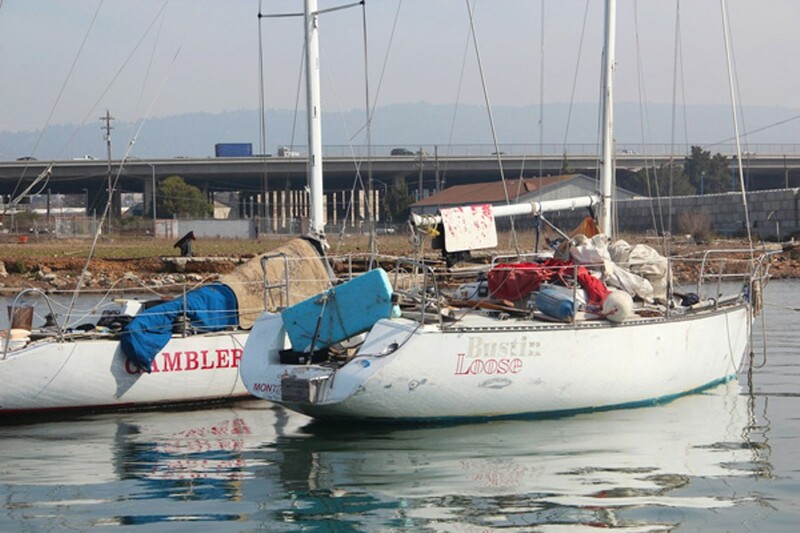 To have people living illegally aboard unregistered boats out on the water means greater responsibility for harbormasters and the different agencies that patrol the marinas, among them, the US Coast Guard, the Army Corps of Engineers, the Alameda County Sheriff's Office, and the Oakland Police Department. 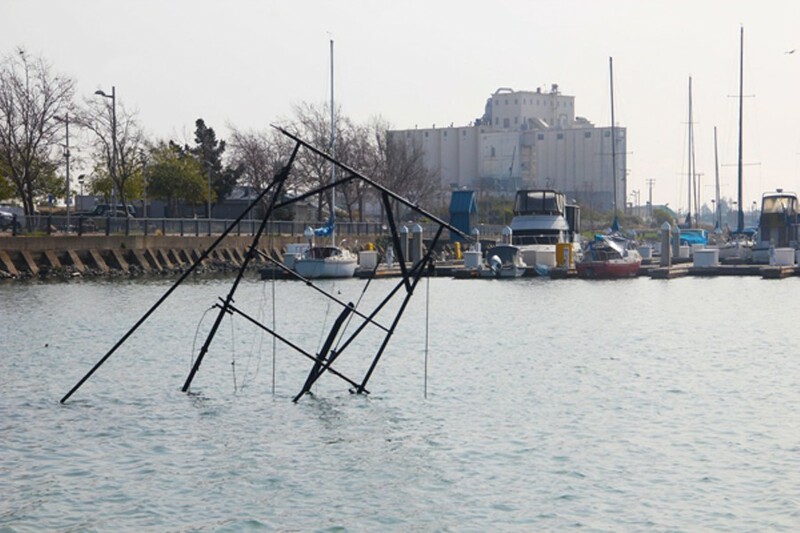 It also takes money, something that local law enforcement officials like Officer Jim Gordon — a member of the OPD's Marine Unit and the central director of the California Boating Safety Officers' Association — says is in short supply these days. 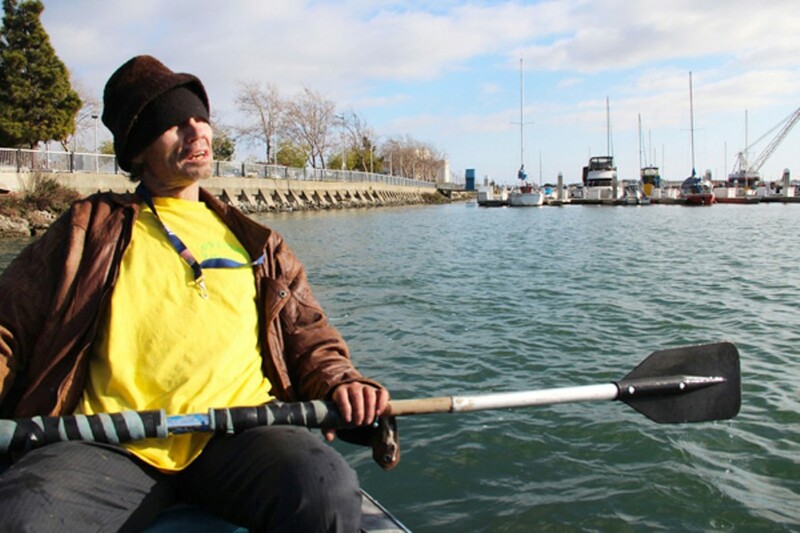 On a sunny Tuesday morning near Jack London Square, Gordon picked up the walkie-talkie attached to the roof of the OPD boat to let surrounding agencies know that he was patrolling the water. Other than the short gray hairs barely visible beneath his navy OPD hat, there are no clues that Gordon is only a little more than a year away from retirement. A "motorcycle cop" with the OPD for 27 years, Gordon mainly regulates truck traffic and port security. But Gordon is also part of a team of three to four OPD officers who patrol the waters two or three days a week in search of any suspicious activity, such as people taking kayaks beneath underpasses. He says he could probably patrol more, but he's been preoccupied with other duties, including the Occupy Oakland protests. 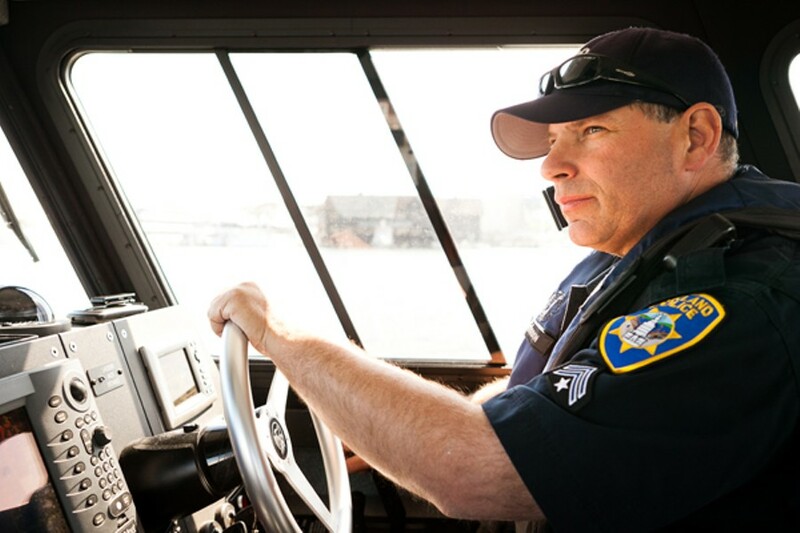 Since Gordon joined the Marine Unit in 2002, after the September 11th attacks increased the federal government's concerns regarding port security, he's been applying for federal grants to acquire top-of-the-line patrol boats for the department. Although he acquired three patrol boats and is expecting a fourth through a grant from the Office of Homeland Security, Gordon says there's not enough money to patrol the estuary with the kind of fervor that it needs. 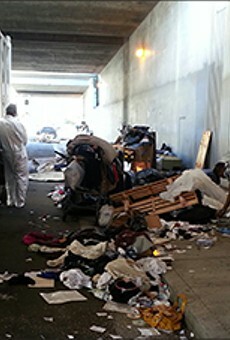 For example, he says, he and the other officers assigned to the unit rarely patrol at night — it would mean overtime that the department can't afford. "We have the laws, but we don't have the money or the system in place to enforce them," Gordon said as he turned on his infrared sonar monitor. As he guided the patrol boat deeper into the estuary, he pointed out a number of small off-anchor boats clearly abandoned or with people living on them. They're mostly all rusting at the bottom. At one point, near 6th Avenue, Gordon passed multiple sailboats with orange and black "for sale" signs tacked to their masts, anchored out in the water. He sighed and pulled out his phone, saying aloud to himself, "If you don't want 'em, we can get rid of them, but you can't anchor out." Gordon stopped and chatted with a few off-anchors along the way. 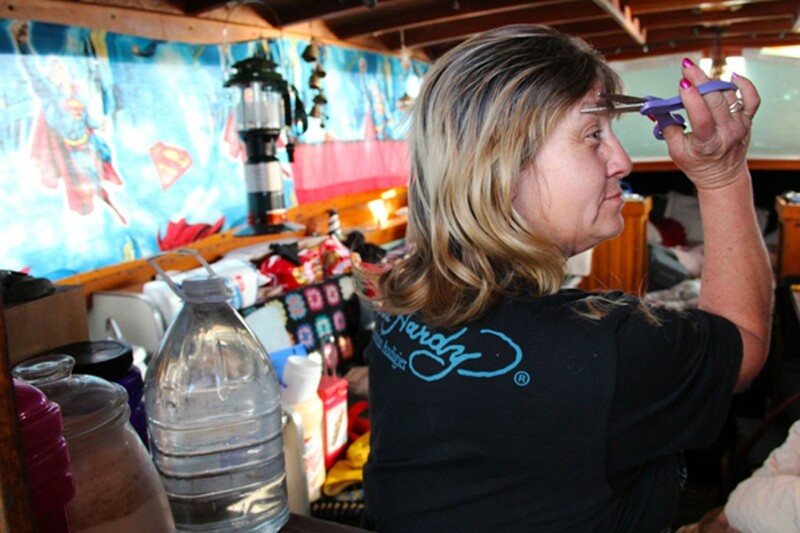 One woman who saw Gordon's patrol boat stepped out onto her deck, her long brown hair falling over a tie-dyed T-shirt. Putting her hand above her reading glasses to shield her eyes from the sun, she told him that she hasn't seen any illegal activities lately. "No, it's all been good," she said. Gordon called this off-anchor resident one of the "better ones," who got her boat's registration sticker updated when she was cited for not having a current one. "It's kind of hard to get on somebody when they're trying," Gordon said as he waved goodbye to her. Another man, who identified himself as Michael, stopped Gordon and told him he was at the meeting with de Lappe and the other harbormasters. He leaned over his boat, a cigarette stub dangling between his fingers, so Gordon could hear him better. "Some of us aren't doing anything wrong," he told Gordon. "We're not committing the crimes." Gordon nodded, eyeing the boat's updated registration sticker. Although Gordon was unable to give exact statistics, he's aware of the volume of reports coming in about thefts in the marinas. As he pulled away, Gordon said that the thefts are probably committed mostly by people in the same small group, and not by everyone in the off-anchor community. "Some of these guys are out on parole or probation," Gordon said, referring to the illegal off-anchor dwellers. "We've caught some of them on shore stealing," especially things like copper, which have a high resale value. Gordon pointed to an old building off of 6th Avenue. "That guy lost thousands of his own money when a group of people came in and stripped the copper from all his power lines and electrical cables," he said. 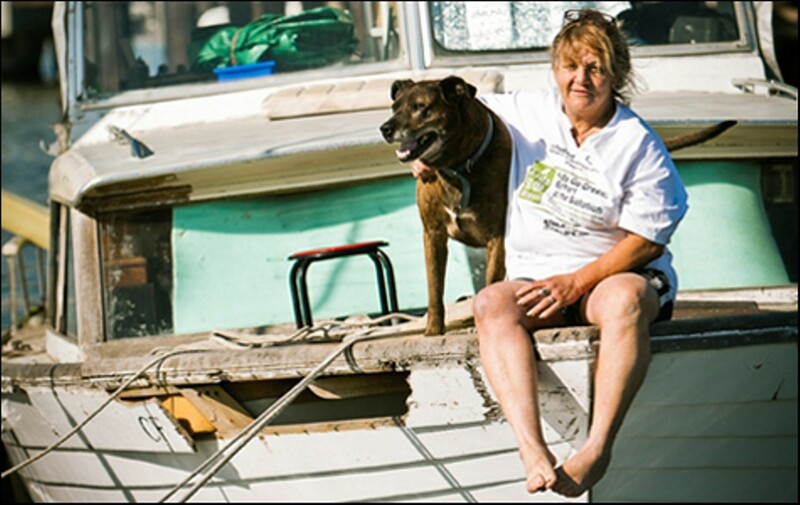 Gordon recognizes that some of the marina's illegal inhabitants are in bad financial straits. He said he first began to notice an increase in live-aboards "in conjunction with the downturn of the economy. People are losing their houses, so they'll come across a vessel or a boat."